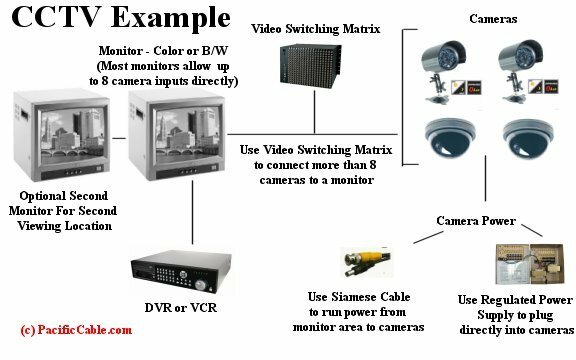 Security Camera Parts And Accessories - PacificCable.com - 1-800-931-3133. PacificCable.com carries Security Camera Parts And Accessories. If you need Security Camera Parts And Accessories not listed here, and/or pinout drawing identified call us at 800-931-3133 or email a request and any documents to sales@pacificcable.com. BE-LCDPW01 Ceiling Mount Bracket for LCD Monitor. Fully Adjustable. Special Order. Non-Returnable. BE-LCDPWM01 Wall Mount Bracket for LCD Monitor. Fully Adjustable. Special Order. Non-Returnable.